World’s first battery-powered, wireless golf tracking sensor. 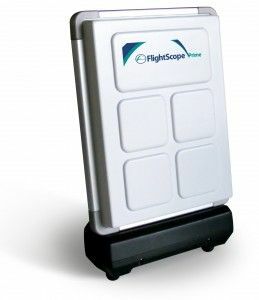 FlightScope Prime implemented battery operation and wireless communication features into the FlightScope product range, and became the most portable and flexible test system available. The FlightScope Prime is an enhancement of the Kudu which includes both battery operation and wireless connectivity. Portability and convenience for outdoor use is the primary characteristic of the FlightScope Prime, aimed at professional teachers and club fitters who work outdoors on e.g. a golf course driving range. The FlightScope Prime is a dual indoor and outdoor ball trajectory monitor that can measure the entire flight path of a golf ball in 3D with great accuracy, typically within 2-4 yards for carry distance. For the first time, smart phones could be used to view shot data. The FlightScope Prime comprised of a battery powered sensor unit with both USB and wireless data interfaces to a PC. System software is compatible to run on Windows based PC’s.